America's favorite, #1-selling gumdrop brand, DOT fans are candy lovers of all ages. 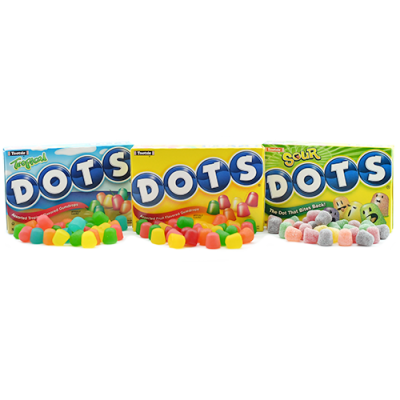 DOTS are a proven snacking staple for both moviegoers and candy enthusiasts everywhere. The chewable, cone-shaped treats are available in a variety of flavors - ensuring a palate-pleasing choice for every sweet tooth. 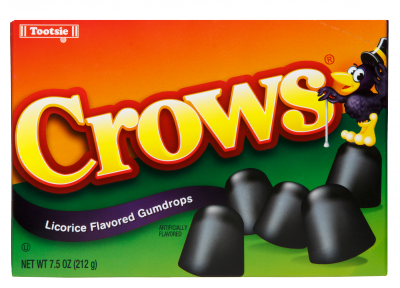 Licorice-flavored Crows, while a member of the DOTS family, is a bit different than its fruit-flavored siblings. Their perfectly balanced anise flavor delivers a comforting, mature taste - drop after drop.